My sweet friend Alison is having a baby boy in December! One of her dear friends put together a shower for Alison, and unfortunately I missed it because I was at Disney. 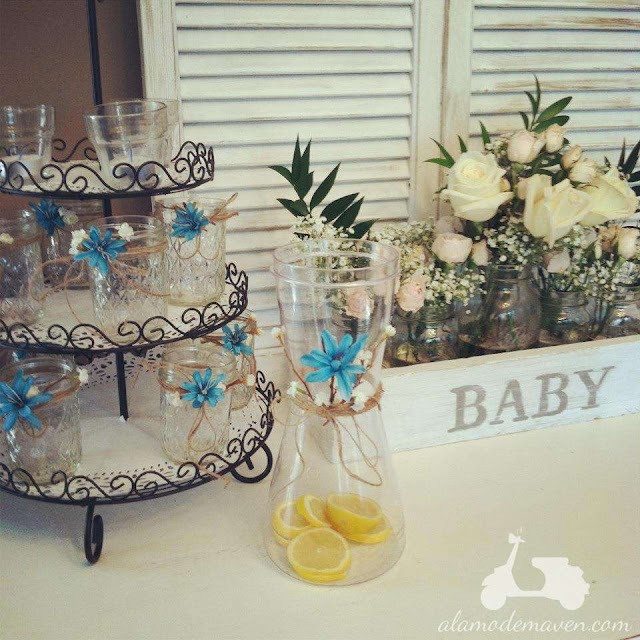 Here are a few pics of the shower decor, because I thought it was SO sweet and beautiful. It had a beautiful vintage feel, and was simple and sweet. 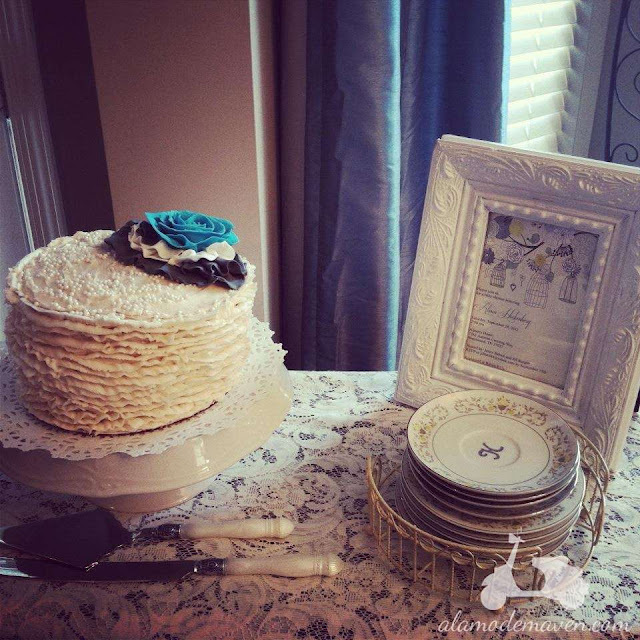 Her friend Jenny, who put this gorgeous shower together, ALSO made this beautiful cake. Such talent! The baby shoes! I am in love! Did I mention that the shower hostess, Jenny, also bought this antique dresser, painted and distressed it, and gave it to Alison as her shower gift for the new baby's changing table? We should all BE a friend like Jenny! Isn't she beautiful? And this is her second baby I might add....just amazing. Thanks for letting me share your beautiful shower and maternity shots Alison! So beautiful! All of it! What a lovely shower. That cake is amazing! 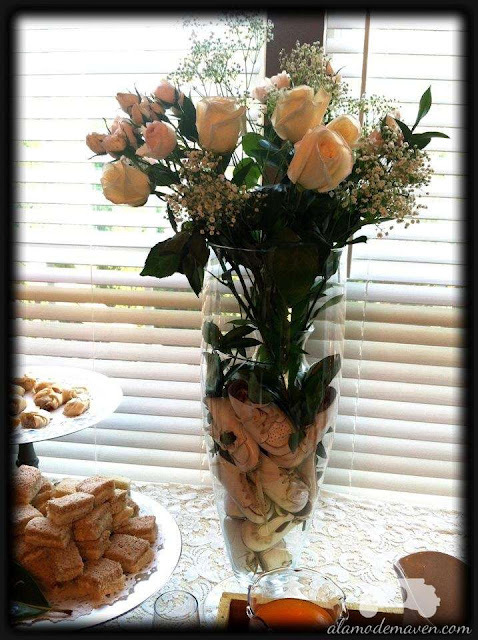 Love the jars as drinking glasses wrapped in the twine with a flower. Lovely details and those maternity photos are gorgeous. Alison is a beautiful woman. 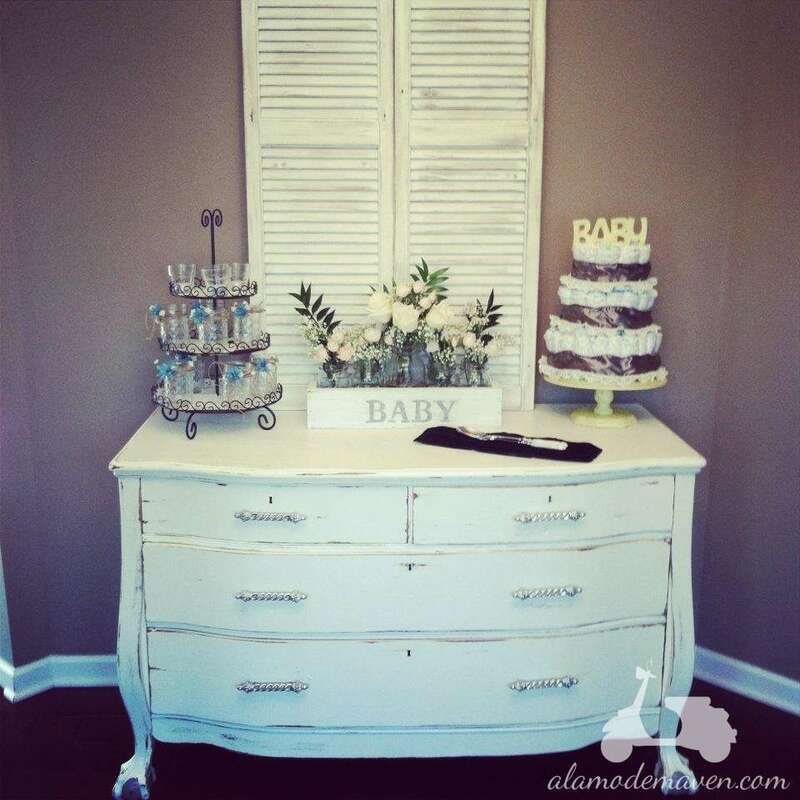 That dresser will make a beautiful baby changing table. Check out the pads from restoration hardware, the colors are soft and muted and should match the style perfectly. They also fit nicely into a drawer when you're finished using it, if you prefer to keep the top clear. Wow. So lovely. I love the vintage feel and those maternity photos are stunning. Wow! Wow....a little Demi! Just a wee bit self absorbed. i love all the anonymous people who leave obnoxious comments. please have the balls to leave your name if you are going to post rude comments. i think she looks fab. you, ms anonymous probably do not which is why you are leave rude comments.